This cream coloured rectangular box has a very dainty exterior. It's front face has been ornamented with a designer image and filled colors thru pasting Read More..colorful gemstones. 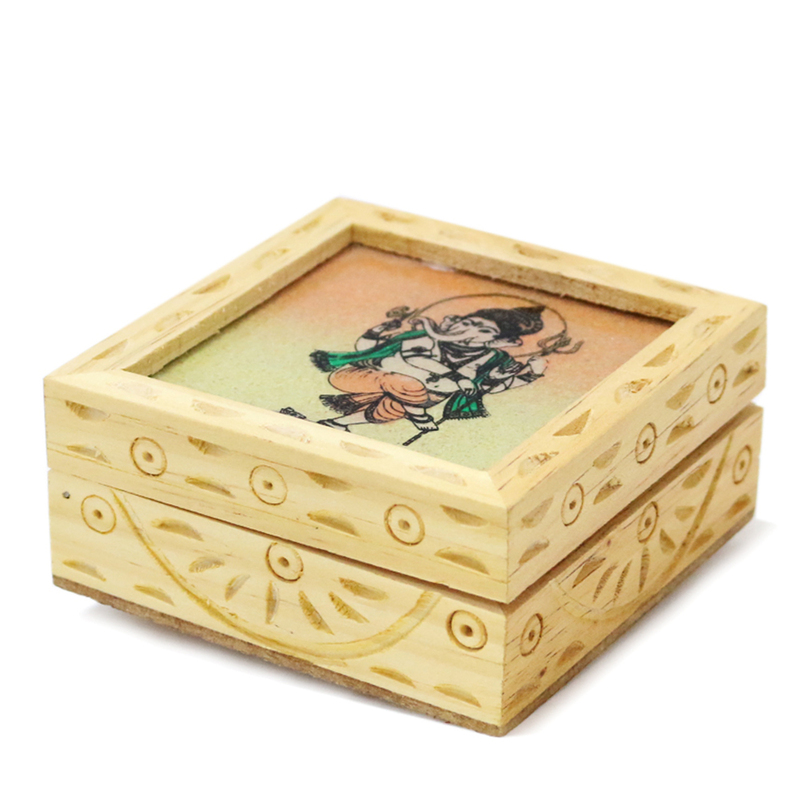 The box is made of wood. 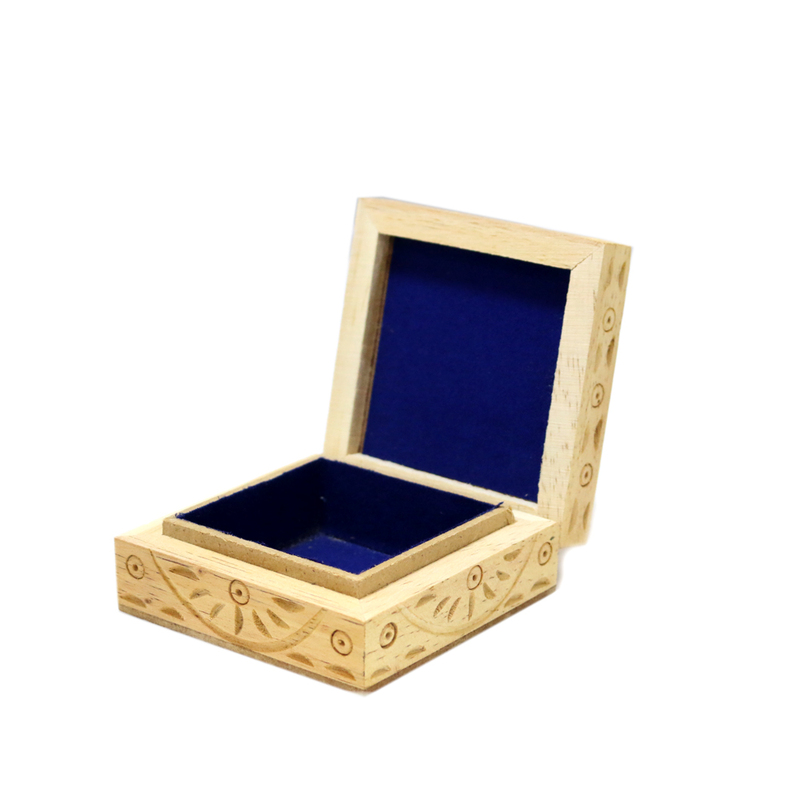 It has a velvet inside it which is helpful in keeping tiny yet valuable objects. Show Less..